Do agencies invest enough in start-ups? Combining one party's deep pockets with the other's entrepreneurial bent makes sense, Gideon Spanier writes. Publicis Groupe is celebrating its 90th birthday with plans to invest millions of euros in 90 digital start-ups. 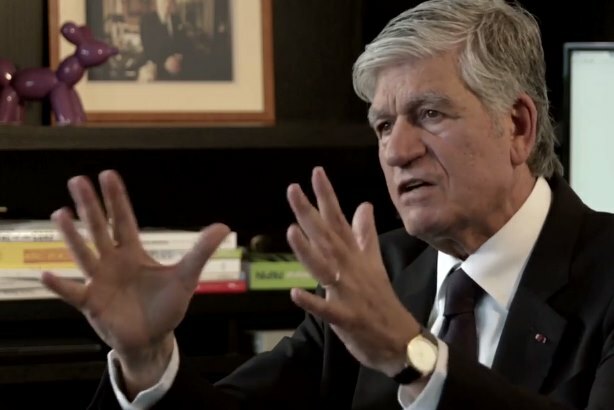 It’s an eye-catching publicity stunt by the boss Maurice Lévy, but the Publicis90 initiative has merit. Big agencies could learn a lot by getting closer to start-ups at a time when technology has already disrupted the media industry profoundly. To give them credit, Publicis agencies have been among the most forward-thinking. Starcom Mediavest Group has an initiative called NextTECHnow that supports and mentors start-ups in London’s Tech City such as the video collaboration app Seenit. Publicis Worldwide runs Publicis Drugstore, which incubates start-ups by giving them advice, investment and subsidised office space. "It’s a really good thing for us to do as an industry because it gives us empathy with our clients," Dylan Williams, the global chief strategy and innovation officer at Publicis Worldwide, says. "Proximity to young disrupters means we are at the forefront of early-stage developments and that keeps us valuable for clients." He cites as an example Skin Analytics, a dermatological app, that Publicis Drugstore has introduced to L’Oréal. If an agency does invest in start-ups, the sums don’t have to be large. Williams makes the point that the investment fund Y Combinator, which backed Airbnb, invests $18,000 on average per company – less than what most agencies spend on a pitch. If there is a downside, it is that the sector is overhyped. Everyone from Unilever to John Lewis and Telefónica to William Hill is talking about backing start-ups. Agency holding groups have done well with some investments such as Interpublic with Facebook and WPP with Vice Media, but these successes are rare. Eight out of ten start-ups fail, as Williams points out. And holding groups aren’t always benign investors. There are more than a few start-ups that can testify how a big, friendly agency took a minority stake, only to become obstructive when other investors or, worse, a rival agency wanted to buy in. But advertising remains an industry full of entrepreneurs. Teaming up with start-ups ought to be a natural fit. "If the best ideas of the future will have technology and data at their heart, then they are coming from the tech clusters – so to invest in them is to commit to understand them. We can spot ideas that can transform clients’ businesses." "There are a number of agencies that are going out of their way to back start-ups like mine, but there could be more. An agency has the power to catapult a start-up directly into an international network of dream clients." "As the big global tech players such as Google and Facebook get bigger, we will see more agency outreach to the start-up community in search of our own ad-tech. It’s partly curiosity and the entrepreneurial nature of agencies." "It’s great to see support for entrepreneurs, but the terms of the Publicis90 scheme read more like a talent contest than a seed investment. Agencies have much to gain from start-ups – as Essence did – but it needs to work both ways."